The Extractor Magnets are designed for ferrous metal separation in high volume dry processing applications. These continuous operation, high performance separators feature powerful parallel permanent magnets to capture ferrous tramp metal from direct material flow. As material enters through the Extractor's inlet, it passes over a diverter which angles the product flow towards the magnets. Ferrous metal that is mixed in with the product flow is then captured and held by the powerful magnetic field. 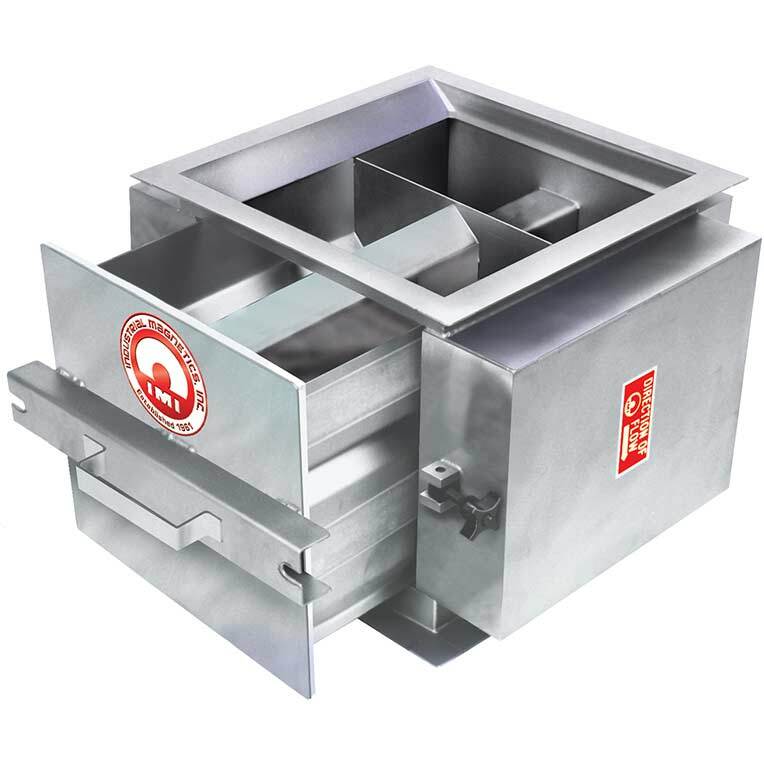 Standard models are equipped with a EZ-clean stripper drawer to easily remove collected metal from the housing. Also available is an air-actuated self cleaning unit for automated or remote cleaning. The Split-Flow Magnet provides excellent separation for free-falling or choke flows in vertical chute applications. As a product enters the Split Flow magnetic housing, a center wedge magnet splits the flow and diverts the streams towards two extra high intensity parallel magnets. These three magnetic contact points offer excellent attraction and holding power. 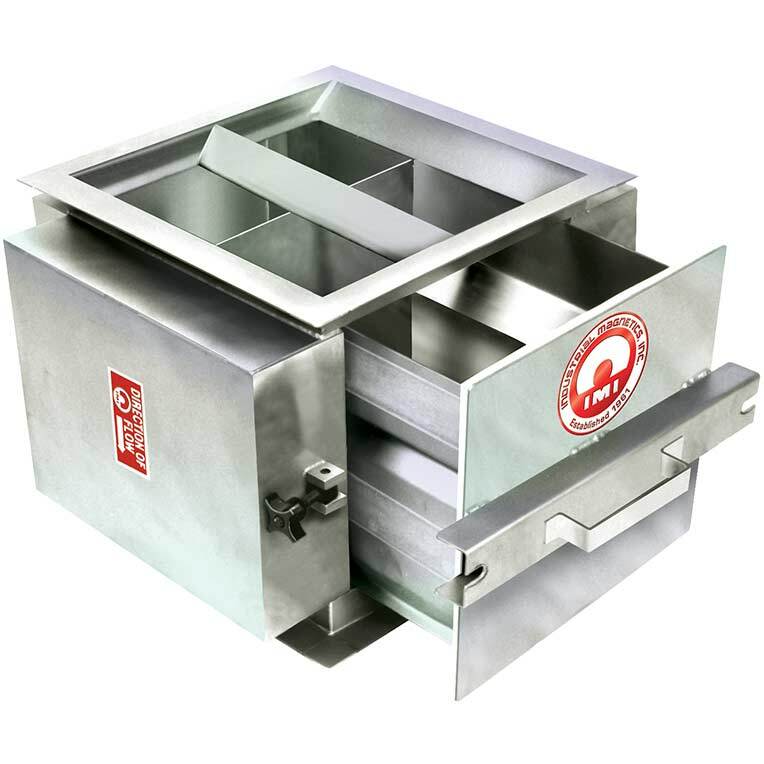 The housing is constructed of all welded stainless steel for a long, noncorrosive life and is available in both EZ-Clean and Self-Cleaning models.